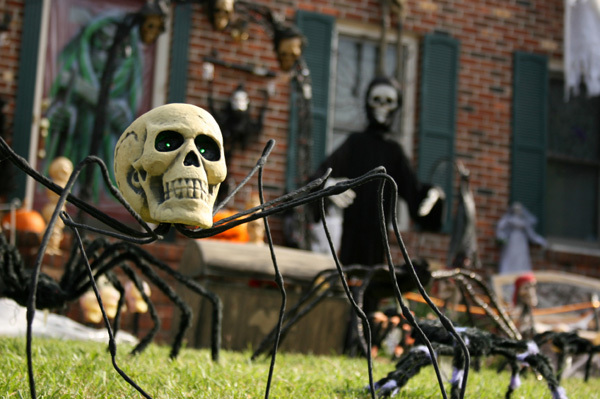 Whether you’re looking to scare the crap out of all the neighbor kids that dare ding your doorbell on Halloween night, or just have a few kids of your own that you love to prank on that frightful day of doom, this ultimate list of the best and creepiest Halloween decorations for 2018 will surely make your Halloween day better, and everyone else’s a little worse. 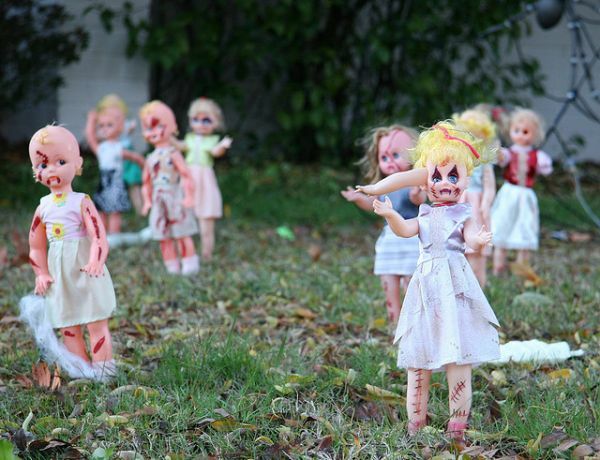 Doctored-Up Dollies – Turn some old dolls into zombies with some red (blood) paint and ripped clothing, then scatter throughout your front yard. Bonus: The doll’s having hair is optional. 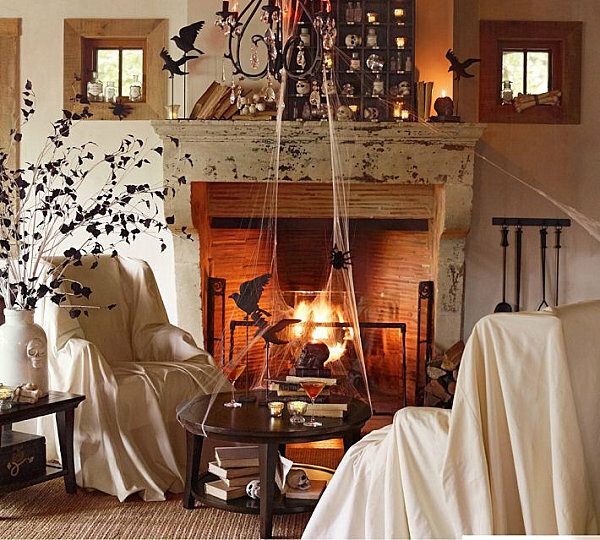 Chandelier Cobwebs – Bringing the cobwebs from ceiling to floor is a good way to get tons of decorating mileage out of one Halloween concept. Tip: Spread the fake cobwebs thin to make them more realistic. 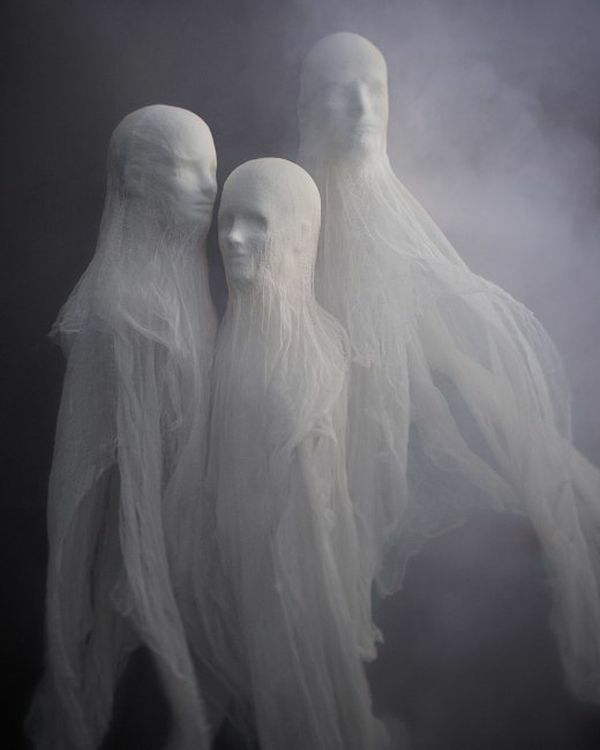 Cheesecloth Spirits – Glue cheesecloth onto foam mannequin heads (available at wig shops) and hang from the ceiling. Complete the scariness with a fan on low speed. Crashed Witch’s Legs – Take the legs of a mannequin, put on some striped witch’s tights and shoes, then stick them upside down in a pot. This is more silly than scary, of course, but even the faint of heart should have some fun decorating ideas, right? Skull-Headed Spider – Craft your own oversized spider legs out of thick wire (painted or wrapped in black), then mount with a human skull. 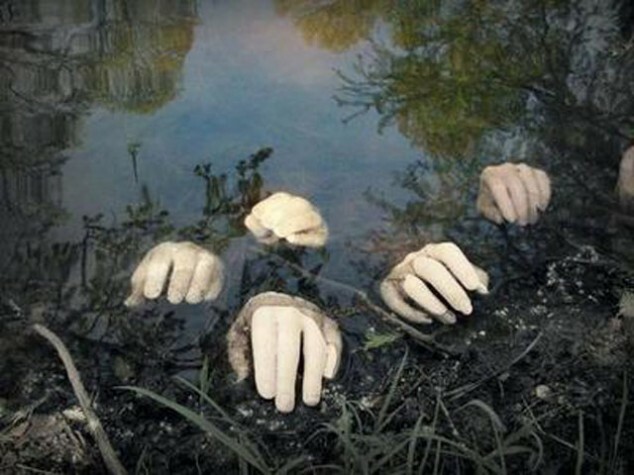 Hands in a Pond – While you’re focused on outdoor Halloween decorations, have a go at this idea: place fake hands into a pond, a fountain, or any contrived murky water feature. Super easy and also disconcerting, to say the least. 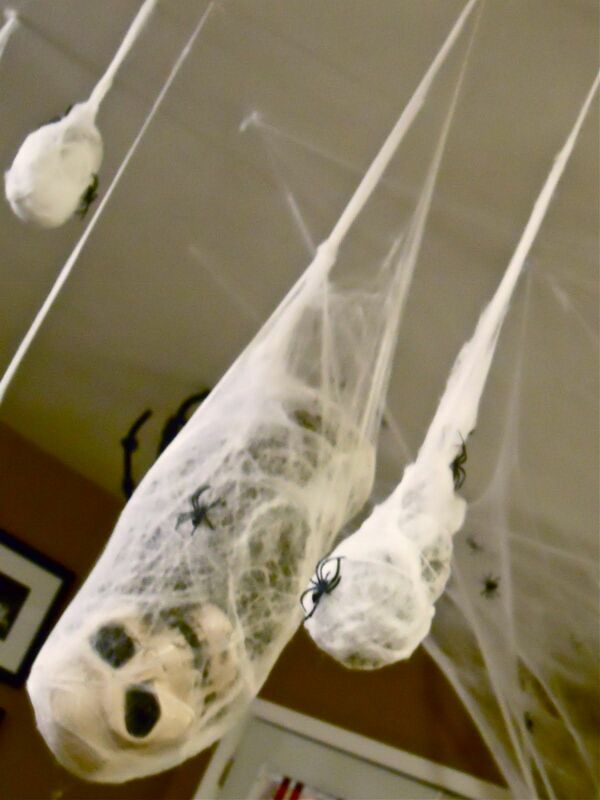 Spider Pod People – Wrap fake skulls in cheesecloth and hang from the ceiling in a “pod” shape. Top off with scuttling spiders. This is beyond creepy. 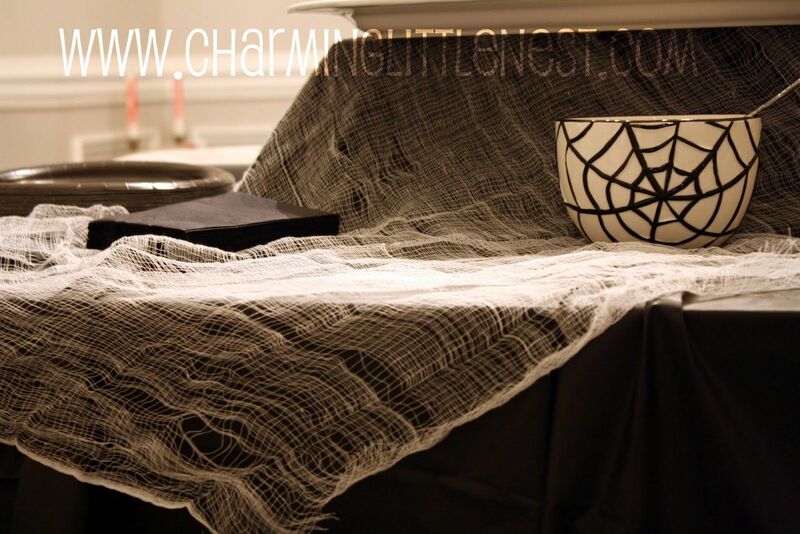 Cheesecloth-Covered Black Tablecloth – This one’s pretty basic and may not be super scary all by itself. But by tugging cheesecloth open to create the look of tears in it, set against black, it looks authentic and old and creepy. Use this idea in conjunction with other scary Halloween decorations. 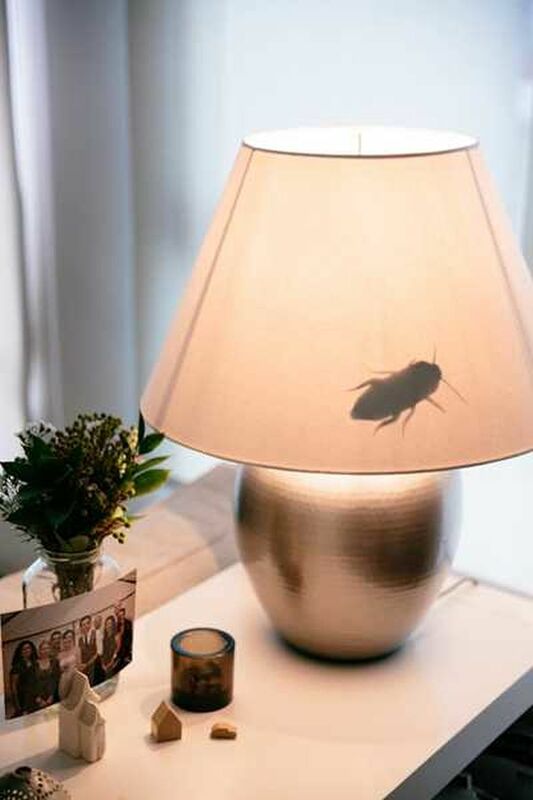 Cockroach Lampshade – For a little piece of paper cut out in a bug shape, this simple Halloween decoration has a large creepy-crawly impact. Attach paper “bug” to the inside of the lampshade.